Meanwhile, one thing is deniable: High quality modelcars in the scale 1:43 usually don't receive opening doors and hoods from their producer! 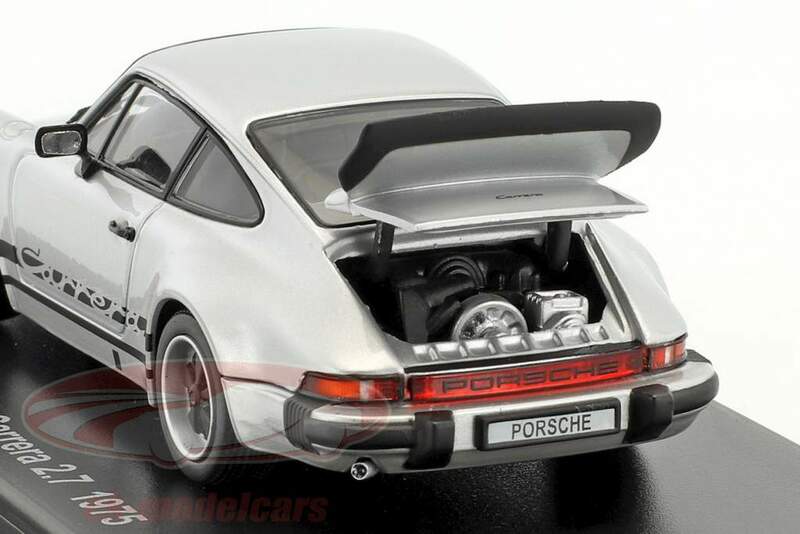 Sometimes there are exceptions, which Kyosho demonstrated some time ago: The Asians presented the Porsche 911 Carrera 2.7, as a miniature of the 911 G-Series from 1975 under the article number 05521S, exactly with those funcitonabel parts, which actually is unusual in this size. Openable hoods and doors in this scale are world wide relinquished at the collecters. The nine eleven fans can now do with the miniatures, which normaly is not allowed. Take a look into the trunk at the front under the hood, as well to the reproduction of the six-cylinder, which makes 154 kW / 210 PS in the role model. 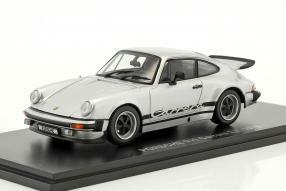 But with these modelcars, one question appears: What's about the name G-Series of the nine eleven? Something, which is still not interpreted barely right, in the age of the 992 series. So let's take the opportunity with the Kyosho-Carrera on throwback thursday and have a closer look on the designation: Every model year received a letter, since the year 1968. 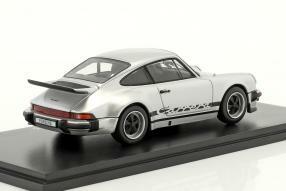 The 911 of the model year 1968 had been introduced as the A-Series. Considering that the "I" didn't apply, our example of the modelcar in scale 1:43, would have belong to the H-Series of the model year 1975, as stated by Kyosho. Actually the G-Series designation had been kept, since all nine elvens with the bellows on the front bumber from years 1973 to 1989: This is how the designation came about!